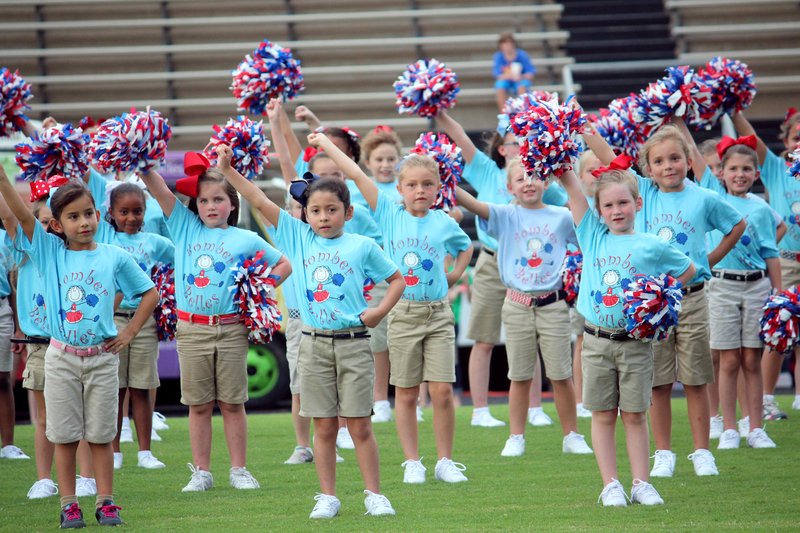 Parkway High School cheerleaders entering Preston Crownover Stadium during the parade of schools. The Elm Grove danceline performs a high kick routine. 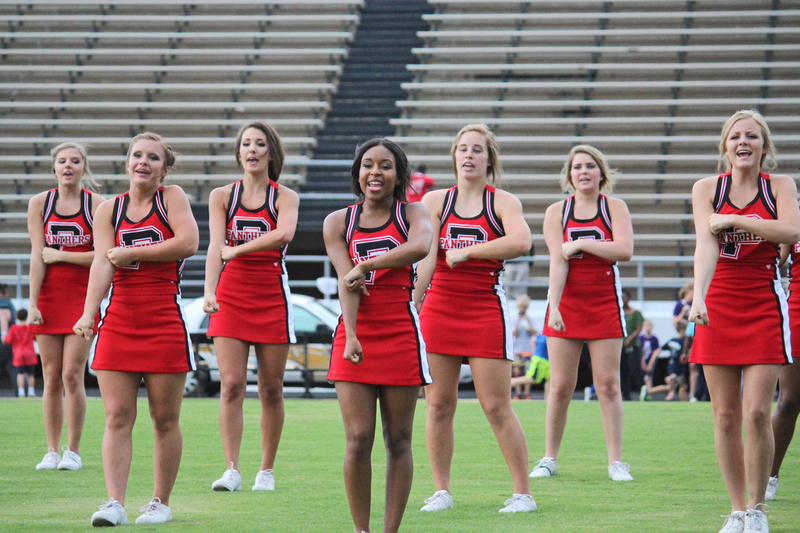 The Parkway High School cheerleaders perform a “P-H-S” chant to get the crowd of south Bossier fans pumped up for Panther football. 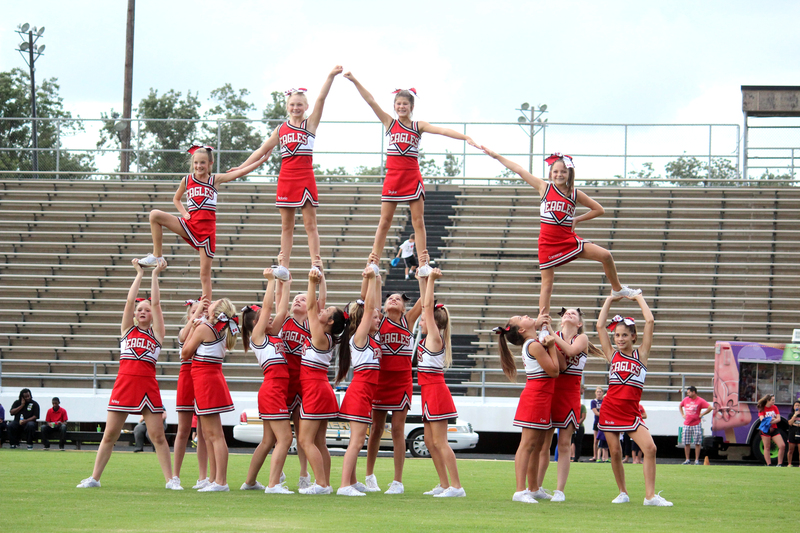 The Elm Grove Middle School cheerleaders wowed the crowd with a multi-level stunt. Curtis Elementary cheerleaders perform a cheer for the crowd at South Bossier Spirit Night. 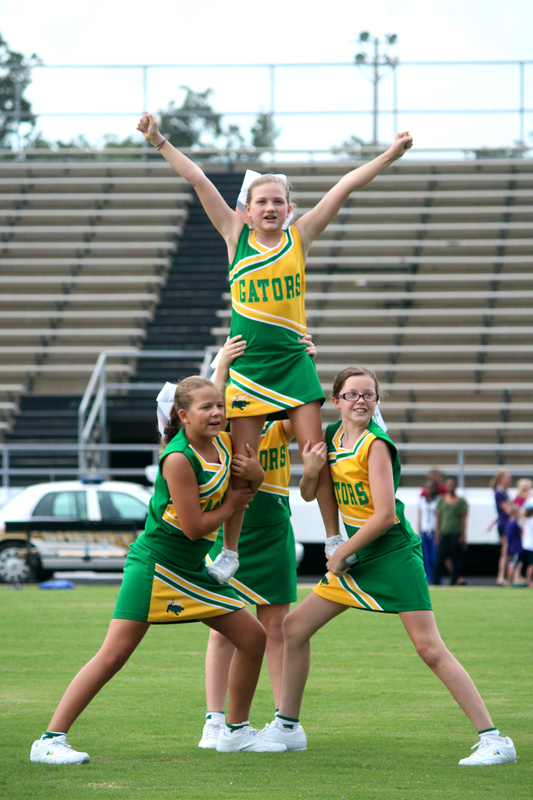 The Elm Grove Elementary cheerleaders ended their routine in stunt groups. 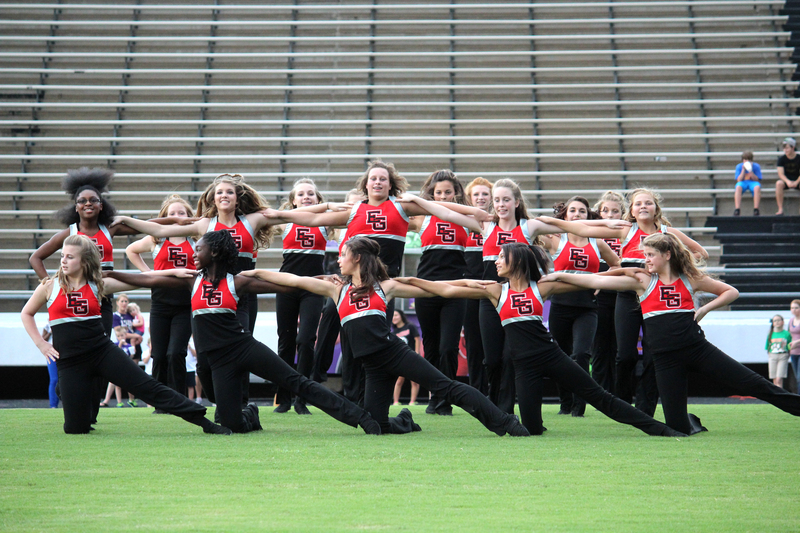 The Bellaire Bomber Belles perform a pom-pom routine.